Sydney Stundebeck is among the top 30 sophomores in the Missouri in FFA, 4-H or from farm families. 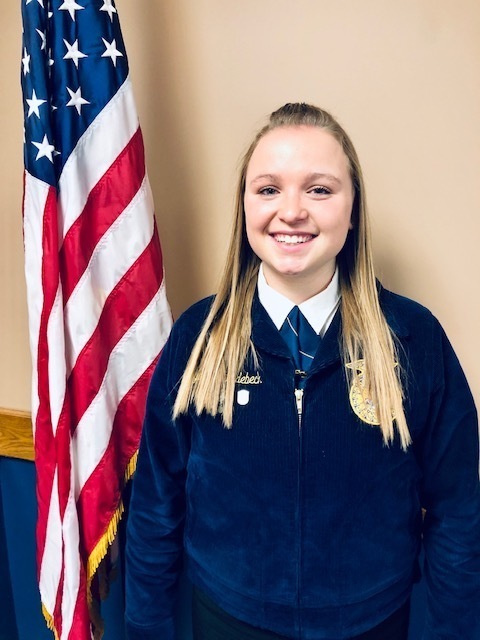 She has been named to the Missouri Agribusiness Academy, a week-long program to tour agribusinesses in a region of Missouri. While at the academy, members will visit Springfield this year to meet agribusiness leaders as well as staff from the Missouri Department of Agriculture and explore career opportunities in Missouri. To qualify, Sydney submitted a written application, academic transcripts and three letters of recommendation which were reviewed and scored. The top ten applications from the Northeast District were chosen to attend an in-person interview at Paris and the top five interviewers will attend MABA this summer during June 3 - 7.